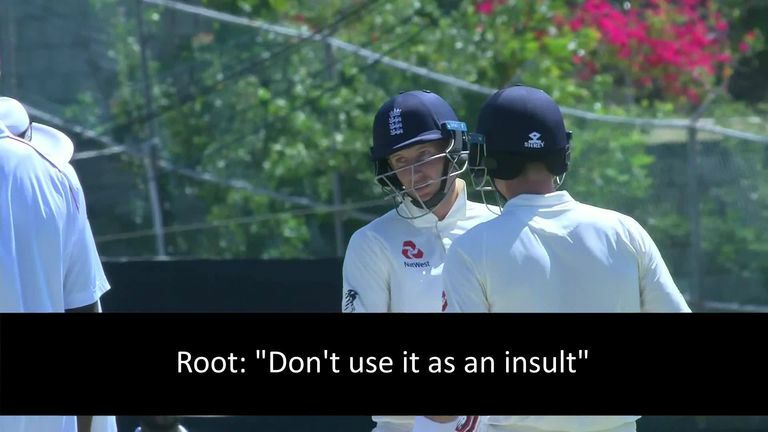 England captain Joe Root suggested Windies bowler Shannon Gabriel said something he "might regret" during an on-field exchange in the third Test. Gabriel's part of the conversation did not seem to be audible but the ECB have confirmed that the Trinidadian paceman was spoken to by at least one of the on-field umpires, Kumar Dharmasena and Rod Tucker, about his language. Root enjoyed a fine day at the crease, scoring a 16th Test century and finishing 111 not out as England built a lead of 448 runs - but after leaving the field was asked to explain the tussle with Gabriel. Speaking in measured terms, he said: "It's Test cricket, he's an emotional guy trying to do everything he can to win a Test match. Windies coach Richard Pybus was unaware of any potential controversy at close of play but told the BBC: "Nothing has been reported to me but if a comment was made we'll review it and if it was untoward we'll be addressing it."